A variety of foods are often served at outdoor parties. This warming accessory by Fire Magic will give you more flexibility in serving your guests because it divides the large warming tray into smaller separate compartments. This makes it perfect for serving side dishes like baked beans or veggies as well as condiments. It will fit any standard Fire Magic warming drawer. 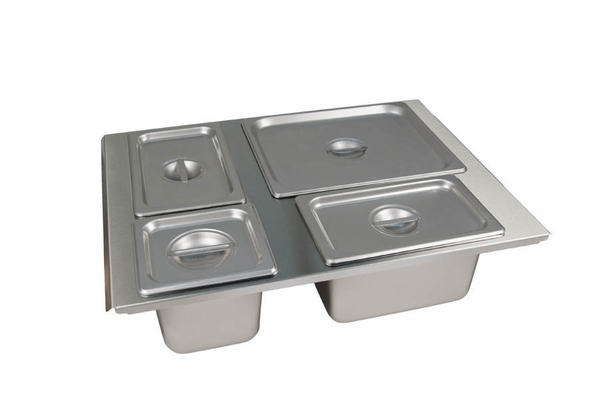 The tray is made of stainless steel construction for durability and long-lasting use. WARNING: Cancer and Reproductive Harm. For more information go to www.P65Warnings.ca.gov.